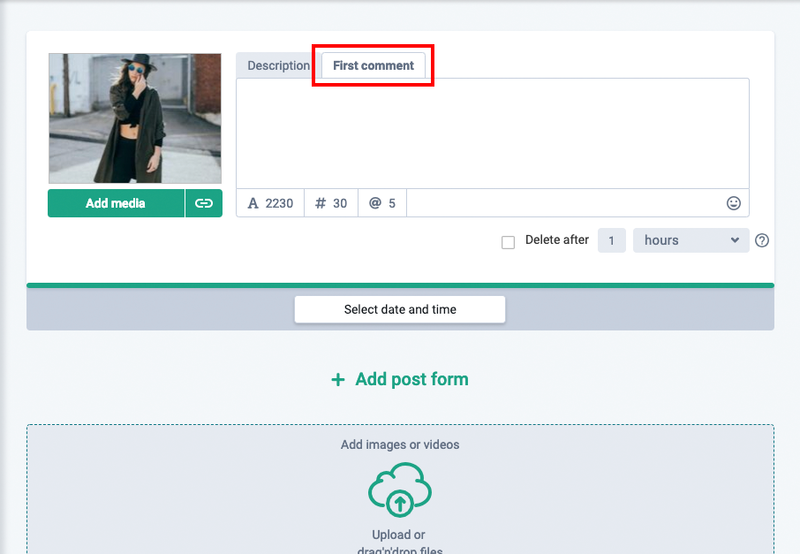 Except publishing a post, you can also add the first comment which will be published automatically together with the post. The first comment settings are customized when creating a post. For example, you can add all hashtags of your post to it instead of putting them in the description to make a text as attractive as possible or put some additional information there, because the description text length is restricted. When adding hashtags to the first comment, your post will still be found when searching according to the added hashtags, because Instagram searching algorithm involves the content of comments. Important: the hashtag number is restricted to 30 hashtags per post. The number of hashtags in the description and the first comment is summarized.